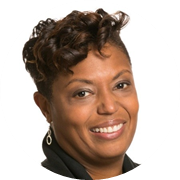 Jamila Conley is a Vice President in IT at F5 Networks. She provides leadership and strategic guidance for a multiple Corporate, Product and Manufacturing initiatives at F5. She has championed many foundational and innovative projects by guiding and nurturing a wide variety of cross functional teams. She is a business process and analysis professional with a strong passion for furthering diversity and inclusion in the technology sector. She is currently working to establish a formal BPM function companywide for F5. Jamila also helps lead the multicultural inclusion group at F5 furthering diversity and inclusion while fostering key partnerships with non-profit organizations such as HERE Seattle and Technology Access Foundation (TAF). Jamila represents F5 Networks by serving on the board of directors for Washington Technology Industry Association (WTIA) and also on the board of directors for TAF helping to promote STEM education for underrepresented youth. She is also a Leadership Tomorrow alum, class of 2016. Jamila holds a CPA license and CISA certification and earned her MBA in MIS and Accounting degree from Southern Illinois University Edwardsville. In her prior experience she has worked in , IT consulting, Telecomm, and as an auditor in public accounting. Check out the incredible speaker line-up to see who will be joining Jamila.